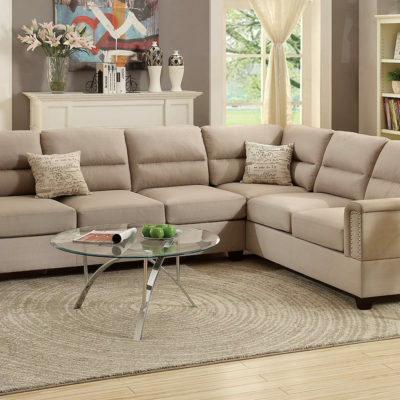 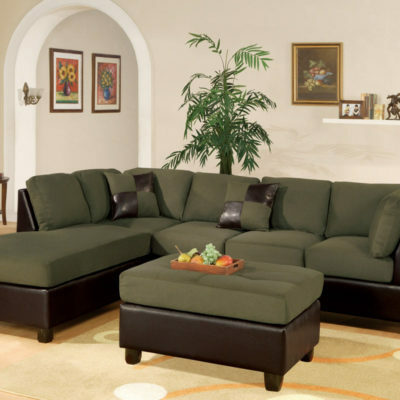 Indulge in a seat of luxury with this 2-piece sectional. 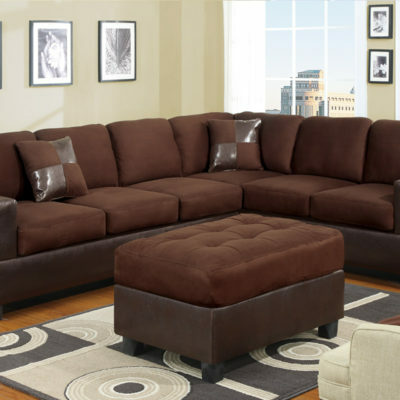 Draped in your selection of smooth and plush microfiber cushions and framed in a dark brown faux leather boxed design, the sectional collection’s décor is perfect for a contemporary living experience for your home. 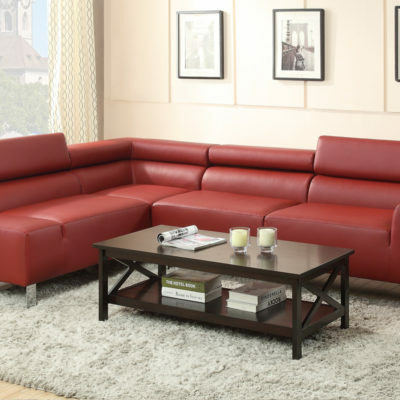  Pair this unit with an array of coffee tables and accent tables, This collection is versatile with modern style.